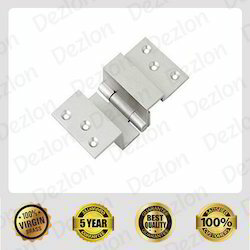 Stainless Steel Z Hinges, Size: 3"
HMP Brass Window Hinge, Size: 5"
एचएमपी के पीतल से बने खिड़की के कब्जे साइज़: 5"
We please to introduce our self as Quality Product manufacturer and Exporter of all king of Brass Hinges. We also develop as per customer requirements. To meet up with the diverse prerequisite of our clients, we are exporting, importing, distributing, trading and supplying a wide range of Brass Hinges in Jamnagar, Gujarat, India. Our presented product range is manufactured with the use of quality approved material using enhance machines. Affordable price range make this ranges highly demanded in market. 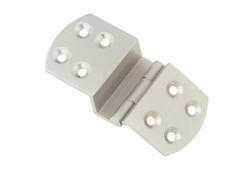 As a reputed organization of this industry, we are offering a wide array of SS Door Hinges that is known for its robust structure, high strength, easy & strong installation & accurate dimension. Our offered door handles are manufactured from the material & contemporary techniques in fulfillment with the set norms.